We just received an earful of the brand new WHITE MANNA album that’s soon to drop via Captcha Records. The album, named after the Greek god of nature Pan, will be released on May 26th – less than a year after their previous LP Come Down Safari. Given the nature of their new lead single “Evil,” right off the bat it sounds like their taking a different approach with the new album. Come Down Safari was more of a soothing psychedelic comedown, expansive and drawn out – Pan (albeit we’ve only heard a single track) sounds like this heady monster of fuzz-fueled psychedelic punk. “Evil” is dominated by two menacing chords, starting with the crunch of the guitar and strengthened by the colorful glaze of the synthesizer over top. Guitars morph into a monstrous technicolor solo that swallows everything in sight, creating this mighty, ground-shaking blowout that is best experienced at the highest volume. David Johnson’s vocals soar over the lush mixture, sounding one part raspy and two parts electrified as he wails away with authority. They keep chugging for a full 5 minutes and when it’s all said and done one listen just isn’t enough. Give “Evil” a whirl below and you’ll see just what White Manna has going on. 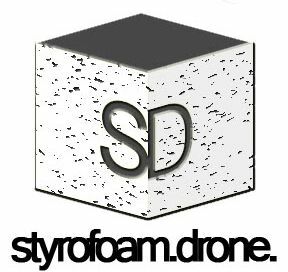 Welcome to the Styrofoam Drone! This is a daily updated music blog based in Philadelphia. Ranging from lo-fi psych to garage punk rock to electronic and everything in between, you're bound to find something special. We use a simple formula here: if we like your material, you'll know it and we'll post it.